There are fast electric bikes, and then there’s the Stealth B-52. With a top speed of 80 kilometres per hour (or 50 miles per hour), the Stealth B-52 is the best high performance electric bike that money can buy. The state-of-the-art drivetrain enables pilots to maintain this top speed for the entirety of a 40km ride on just a single charge. It’s the kind of speed and electric power that many pilots can only dream of. Take a B-52 for a test ride and those dreams become reality very quickly. The Stealth B-52 can reach speeds of up to 80km/h. What makes the Stealth B-52 the fastest electric bike? 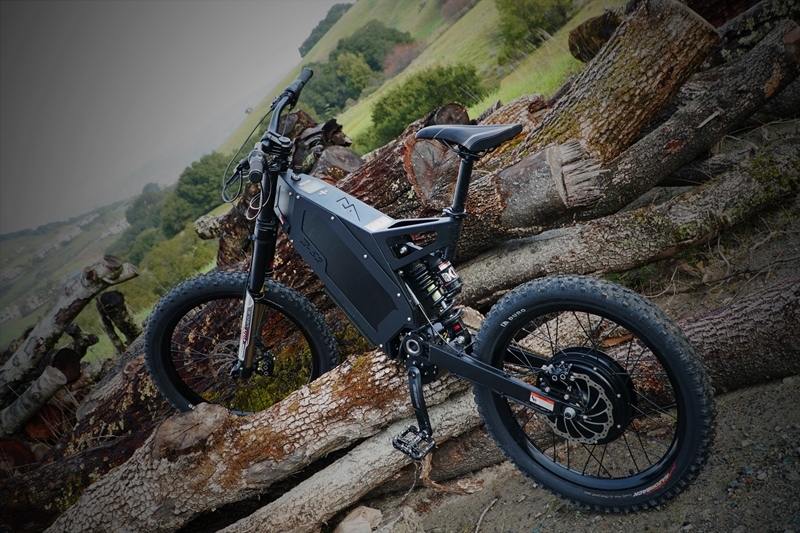 The Stealth B-52 uses the same brushless DC hub motor as the Stealth H-52, but with a nine-speed sequential V-Boxx that affords pilots extra pedal power to take them to the next level of enlightenment, increasing power and speed while further extending range. While the B-52’s high quality battery pack can get a range of 40km at top speed, those operating in economy mode can easily cover 100km between charges. With a capacity of 2.0kWh and peak power output of 6.2kW, it can fully recharge in just three hours from any 110-240V power point. Best of all, the Stealth B-52 delivers all this performance and speed without creating a racket. The brushless DC hub motor has just one moving part, minimising wear and tear and emitting only 65 decibels (the intensity of a normal conversation) when pilots are running at 50km/h. Silence, range and power – All qualities you’d expect to find in one of the fastest electric mountain bikes on the planet. The Stealth B-52 really can do it all. The Stealth B-52 is the ultimate in electric bikes built for speed. So you know 80km/h is fast, but how does that compare to other electric bikes? To put it into perspective, it’s two to three times faster than any street legal electric bike in the world. Generally speaking, pedelecs operate at 25-30 km/h in Australia, NZ and Europe which is great, unless you want to have fun. 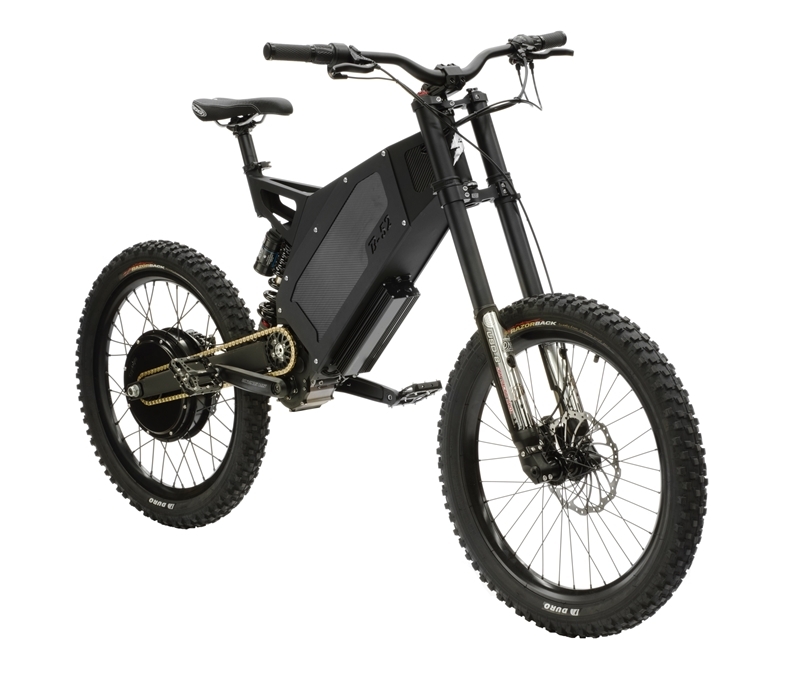 When it comes to throttle operated electric mountain bikes, the Stealth B-52 is light years ahead of it’s competitors. The Stealth P-7R has a maximum off road speed of 45km/h (28mph), while the agile Stealth F-37 can reach 60kmh (37mph) in tight, technical terrain. Faster than a shortfin mako shark. Faster than a greyhound. Faster than any street legal electric bike on the market. When you’re ready for unbridled power and the highest speeds available, you know who to get in touch with for a test ride.